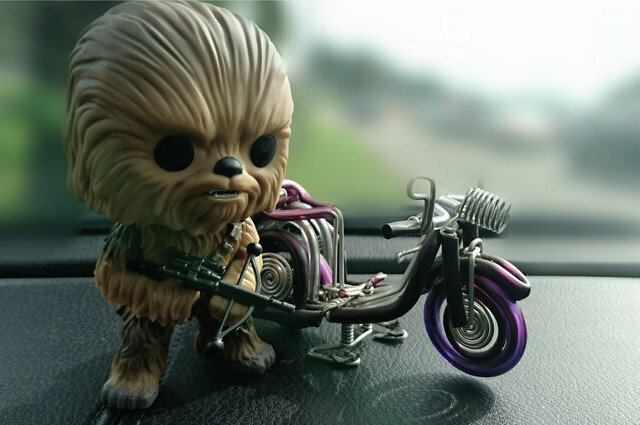 Chewbacca the Wookie in toy form (sorry, we couldn’t find a full size one). Image by AndyThyro (via Shutterstock). May the third phase be with you! Paul Smith is no ordinary electrical engineer. On weekdays, he is an electrical engineer in East Lothian, servicing commercial and residential customers in the Scottish capital. On weekends, he indulges his passion for all things of a Star Wars nature. This weekend, he will be dressing up as Chewbacca the Wookie. His Wookie costume, seven feet and six inches tall, was purchased online for the princely sum of £3,000. The Star Wars fanatic (47), will be taking part in the Capital Sci-Fi Con in Edinburgh later this month. On the 18 and 19 February, he will be joining several other science fiction fanatics at the Meadowbank Stadium. Money will be raised for CHAS, the Children’s Hospice Association Scotland. There will also be other Sci-Fi characters from the Star Wars franchise, plus characters from other films including Ghostbusters and Starship Troopers. In the East Lothian Courier, Paul Smith said: “I’m going to be 48 years old this year. I was eight when I went to see Star Wars: A New Hope and there was just something about it. Mr Smith will be among 135 other people at the Meadowbank Stadium dressed in Sci-Fi costumes. Last year’s event at the same venue raised £37,680.68 for Rachel House. Organiser, Keith Archer, hopes this year’s event will be bigger and better than before. If you can get to Edinburgh and see Paul Smith, you’re in for a treat. Bright Sparx London, 14 February 2017.